Yes, it’s finally done! Get it here! What can you expect in this game? I’ll tell you. Revenge! Your family has been murdered, and the killers will never face justice. But you’re just a young woman at court. You can dance, sing, write poetry – but you cannot kill! Or… can you? Masques and Murder! 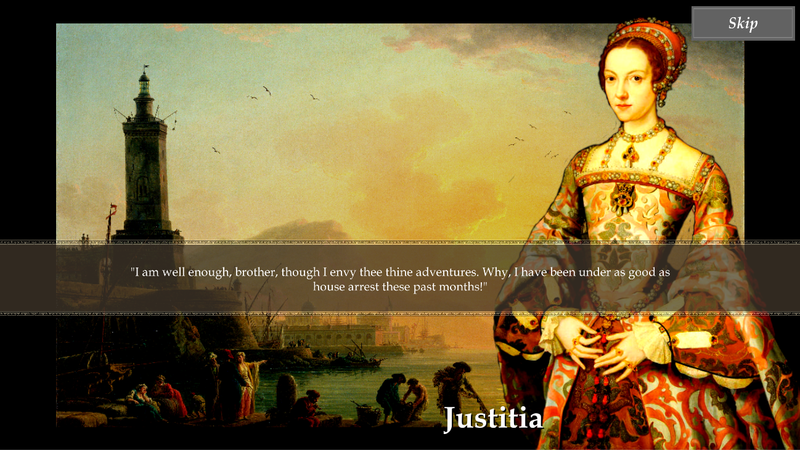 is a Renaissance vengeance simulator: half skill-juggling RPG, half visual novel. Become fashionable at court! Gain the trust of the murderers through guile and skill! Strike when they least expect it! 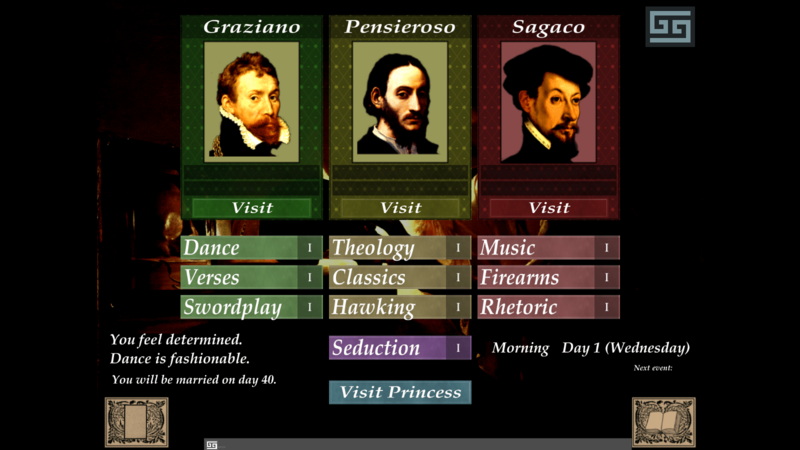 The game also features music and artwork from the period. Which, by the way, is lovely. I’d also like to declare, here and now, that I started working on this 16 months ago. It was a “quick project”, something “small”. It would take me “maybe a month or two”. I am, of course, a massive bell-end when it comes to this sort of thing. 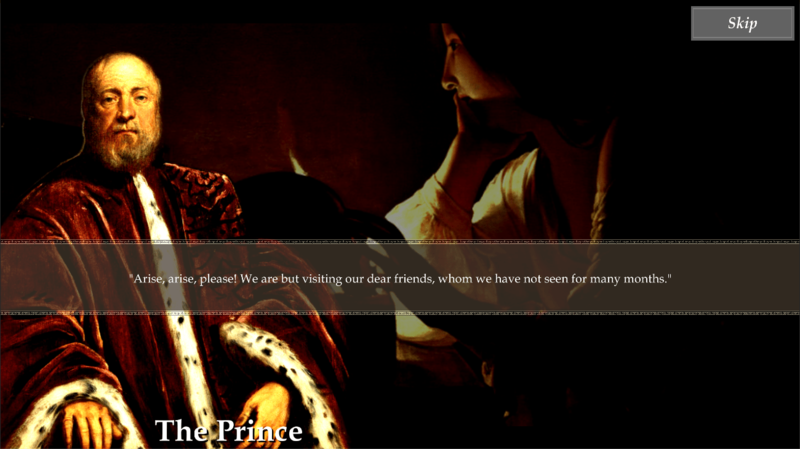 Next Post Twenty Dollar Gaming – and a thank you! I absolutely LOVED this game – so rich and satisfying. I hope you don’t mind, but I did a Let’s Play of it that I’m intending to upload to YT starting next week – please just give me a shout if you’d prefer me not to. I hope you continue to make games – this had a tone and an atmosphere that’s so rare in games, and a wonderful twist of Renaissance feminism that I particularly appreciated. Thanks, glad you liked it! I’m flattered you’d LP it, please go ahead! And thank you for the encouragement, I fully intend to keep making games: even if I can’t go full-time at the moment it’s something I always try to make time for.